Fast – Our 34+ trucks and over 65 certified and well trained security professionals insure that we can take care of you quick. We have dispatchers working for you 24/7. Protected – Our technicians are both licensed and insured. Courteous – Our friendly Technicians are trained to respect our customers and their property. Angie’s List – We have an “A” rating and we’ve won their prestigious Super Service Award for five years running. Commercial & Residential – Retail Sales and Installation of CCTV Equipment – CALL for a QUOTE! 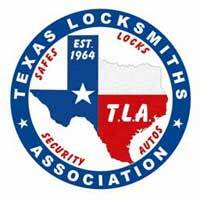 We are members of the Metroplex Locksmith Association, The Texas Locksmiths Association, and the Safe and Vault Technicians Association. All our technicians are licensed and insured for your protection. Your safety and security mean a lot to us. If you want quality locksmith service that is unparalleled in the metroplex, Michael’s Keys is the locksmith for you. We have been named Super Service Award Winner by Angie’s List for five years in a row. Over 180 metroplex citizens, like yourself, took the time to sit down and write a review about our company at the Angie’s List website. Our recent overall grade is “A”. Residential Locksmith Services in Fort Worth, Colleyville, and North Dallas, Texas. Our dispatchers are ready to help you 24/7. Call us at (817) 581-8992 in Fort Worth or (972) 498-1026 in the Mid-Cities and we will dispatch a qualified, licensed and insured technician to your home as quickly as possible. Because we have 23 trucks in the Fort Worth / Dallas mid-cities area and over forty employees, we will get the job done ASAP! If your door locks are sticking or just quit working we can help. If you have broken a key in a lock, we can get it out or we can replace the lock. We can re-key locks for you as well. We also work on filing cabinet locks and any kind of lock you may have. We keep over 5000 key blanks in stock at all times. If we can’t make a key for you, it just can’t be done. Visit any of our three locations in the Fort Worth and Dallas mid-cities area for quick key replacement. Re-Keying is changing the internal mechanism in the lock so that it requires a new key to open it. This is needed when you lose a key and are afraid that someone may gain unauthorized access to your home. Other times you might want to re-key is when going through a divorce, if a family member has loaned keys out, or if you are moving into a previously owned home. 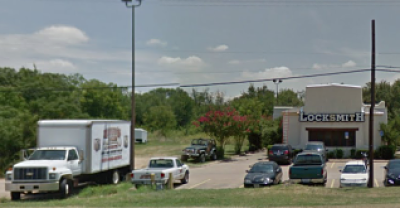 The locksmith Fort Worth trusts, Michael’s Keys, is equipped to handle the job. Call us today at (817) 581-8992 in Fort Worth or (972) 498-1026 in the Mid-Cities. Our technicians cover anywhere in Fort Worth or North Dallas. 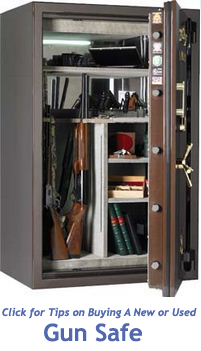 We carry a wide selection of safes for the home to protect your valuables. People purchase safes for various reasons. The four top reasons are to protect valuables from fire, water, burglary and, of course to keep dangerous items like guns from being accessible to our children. We stock a complete line of safes in all price ranges and levels of security. Commercial Locksmith in Fort Worth, Colleyville, and North Dallas. 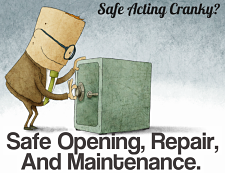 Call (817) 581-8992 in Fort Worth or (972) 498-1026 in the Mid-Cities to get quick commercial lockout service. Michaels Keys locksmith Fort Worth will immediately dispatch a professional, licensed and insured technician to your business address to get you back to work ASAP! Our dispatchers are available 24 hours a day. The term access control is a catchall that includes many devices and methods to control the use of a room, building or piece of equipment. Some of the devices used to accomplish this include: Proximity Card Readers, Magnetic Stripe Readers, Fob Card Reader Systems, Biometric Locks, Key Control Systems, Master Key Systems, Motion Detectors, High-Security Locks, Military-Grade Locks, and much more. Michael’s Keys has a highly trained and qualified staff that is certified to install and maintain a wide variety of access control locks and devices. 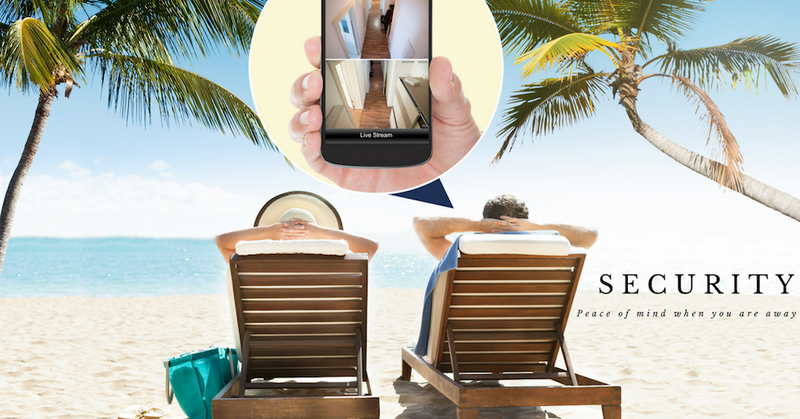 We are the leader in access control in Fort Worth, Mid-Cities, and North Dallas. 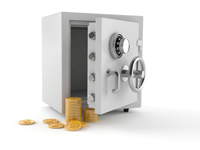 Many small businesses use safes that are fairly equivalent to high end home safes. For the most part these safes are mounted so as to make them less portable. 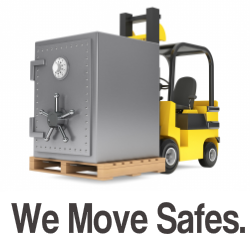 Most business safes are bigger and weigh a lot more than the home safe. Because of this, moving the safe can be quite a challenge. Local locksmiths are usually called in to handle that task. Michaels employs two full time safe movers that are experts in this area. The locks you find in commercial buildings are usually of a higher quality and more tolerant of abuse. High security areas may employ high security locks and even biometric locks depending on the need. We carry proximity and digital locks by “Alarm Lock”, standalone touchscreen locks by “ASSA ABLOY”, Logic series digital locks, keys and management system by “medeco”. All these are state of the art. We can install and maintain anything in their product lines. If you have missing keys to your facility, we recommend that you have your locks re-keyed. This will prevent easy access to you business by those who shouldn’t be there. Of course, if you are using the newer high security electronic locking systems, reprogramming is all that is needed (an electronic re-key, so to speak). Although most people are familiar with the term “master key”, they associate it only with the single standard key the hotel manager or cleanup staff might have to gain access to all rooms. Today’s master key systems are really high tech. Companies like “medeco” have stretched the envelop to the max with their LOGIC series of keys and locks. They even have an interface that even the end user can easily use to reprogram their own locks and keys. It offers a complete record management system to keep track of entries and exits. As mentioned earlier, many companies and institutions have “gone electronic” to secure there spaces. Some, like ASSA ABLOY, with their revolution series are ideal for healthcare facilities, offices, retail environments, K – 12 schools, and government facilities. It allows locking out individual users or groups of users. This lock is one of many that Michael’s Keys carries. Call today for more information. Automotive Locksmith Services in Fort Worth, Colleyville, and North Dallas, Texas. We maintain a crew of four full time dispatchers and we are here to help you 24 hours a day seven days a week. Just call us at (817) 581-8992 in Fort Worth or (972) 498-1026 in the Mid-Cities and we will immediately send a professional technician to you to get you back in you car. We have 23 trucks and over 30 locksmith technicians in the Fort Worth / Dallas mid-cities area. Michael’s Keys is The Emergency Locksmith of choice. Our technicians are experts at removing broken keys from automotive ignition systems. They are also well qualified to replace your ignition switch if necessary. We are licensed and insured. 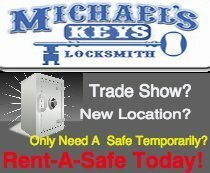 Michael’s Keys is your best Fort Worth Locksmith choice. And remember, we are always available with 24 hour locksmith services. We maintain an inventory of over 5000 key blanks. 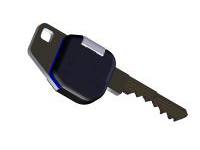 We can cut a key for any make or model of car, and even program Transponder Keys for you. Not all Fort Worth locksmiths can do that. Our prices are very competitive and way lower than dealer prices. We can easily install or replace your automotive remote entry device. Our vehicle electronic assess systems use “hopping codes” or “rolling codes” that make it nearly impossible for anyone to “guess” the combination and break into your car. Each of these security locks have a unique code that is one of over a trillion possibilities! Many modern cars now use transponder keys to help prevent car theft. These devices, also known as a “chip keys”, have electronics inside the plastic portion of the key. The electronics in the key requires no battery. When you turn the key, in the ignition, the car’s transponder (computer under the hood) sends a signal to the key. It responds by sending a coded signal back to the vehicle’s computer. Typically if these keys get lost or damaged, you must get a new one from the dealer or a certified locksmith. Michael’s Keys, your Fort Worth Locksmith, can cut and program all known transponder keys. It is always nerve wracking for women to interact with a tech of any male dominated industry…for the 1st time in a long time, I felt completely respected & at ease by Anthony. He was probably the nicest tech I have ever interacted with. Polite & understanding when he had to wait a few minute extra minutes for me to get home; provided some good tips, and we visited for a few minutes as he was wrapping up sharing a story about or two about our dogs after he saw mine in the backyard. Very, very nice person – I’ve never written a review good or bad before so can please take this as a big compliment to what a great person and asset he is to your company! Will Use Again And I Highly Recommend! Thoroughly pleased with Michael’s Keys. From the phone call to arrange for services until the safe was in it’s new home, I received A+ service at a reasonable price. Steve came out and repaired the safe. Chris and Brandon handled the move. All showed up when they said they would, were very polite and professional. Will use again and I highly recommend! Several years ago, I purchased a small home safe from Michael’s. The last time I closed it, it felt “funny” and I had that “uh oh” feeling. Sure enough, when I tried to open it this morning, the lock unlocked, but the door was stuck. Not wanting to do anything to make things worse, I went to their store today (10/29/16) and asked for advice. I received the advice I needed and was able to easily open the safe. Thanks very much! When I moved into my new home, I had the locks changed. When he was installing the new locks, Daryl checked the screws tha held the lock and dead bolt to the door frame. He showed me how short they were. Apparently builders put in the cheapest they can get by with. He put in new long screws. I appreciate that he wasn’t there just to do a “job” but went the extra mile for the safety of my family. I highly recommend Michael’s Keys. Cattle Raisers Museum Fort Worth’s own Cattle Raisers Museum. Six Flags Over Texas Long time Fort Worth and Dallas Theme Park in Arlington, Texas.